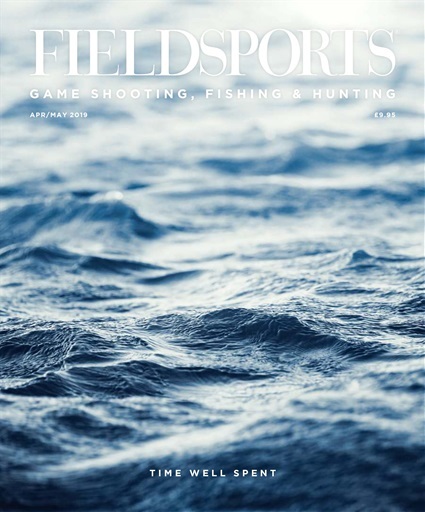 The April/May 2019 issue of Fieldsports takes you on a stunning piscatorial journey unlike ever before. We interview Jasper Paakkonnen, Finnish star of highly acclaimed TV show Vikings, about his love of fishing; British broadcaster, journalist and author Jeremy Paxman provides an intriguing insight into some of the UK’s most obscurely named salmon pools; and long-serving Scottish ghillie Ian Gordon offers advice on how to be the perfect client. On top of all that, we take you from the frigid steelhead waters of Alaska to the fly fishing wonderland that is the South American rainforest, Paul Procter shares his top sparsely-dressed patterns for tricky trout, and sculptor Jason Sweeney talks about his largest salmon commission to date. 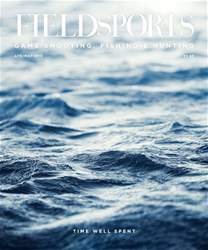 But Fieldsports would not be the same without reams of stalking and game shooting content to boot. 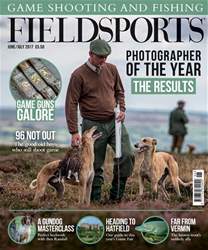 Packed within the April/May issue's 196 pages are features on famous London gunmakers, spring roebuck stalking, game bird husbandry, an African plains game safari, must-try woodpigeon recipes, a Scottish shoot with sustainability at its core, and much, much more.